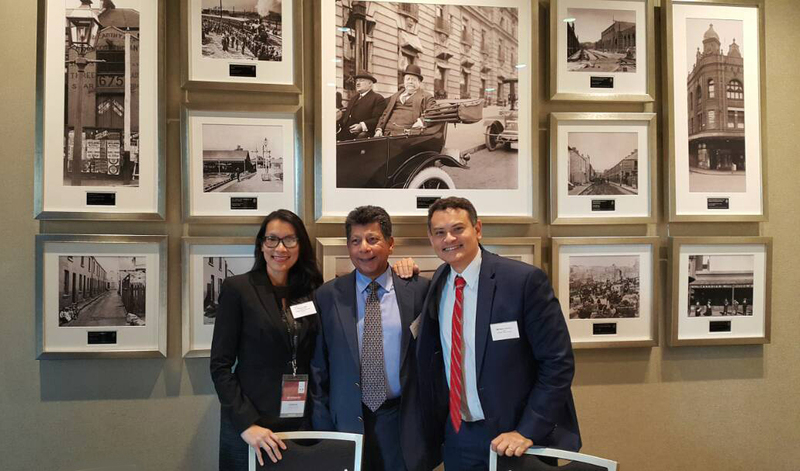 The ASEAN Business Club (ABC) led a delegation to Sydney, Australia between 20 to 21 November 2017. 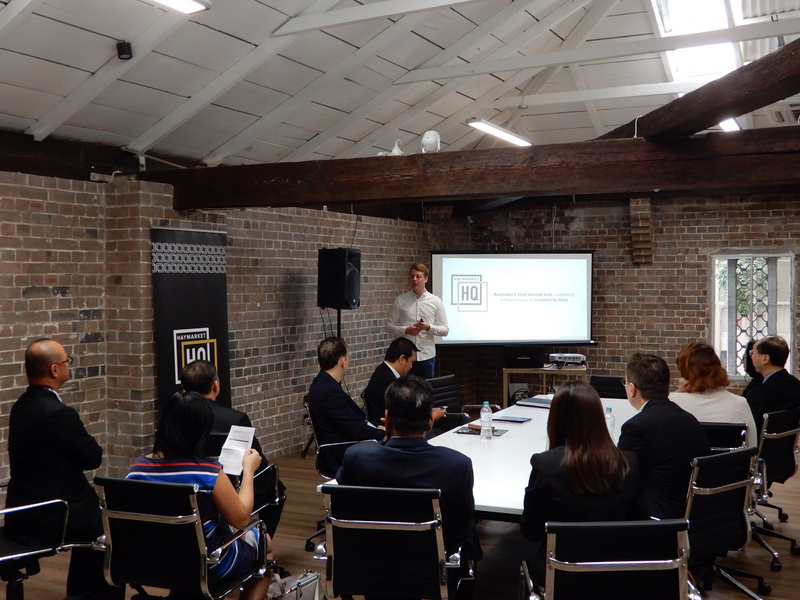 The visit was hosted by the Australia-ASEAN Business Council (AABC). 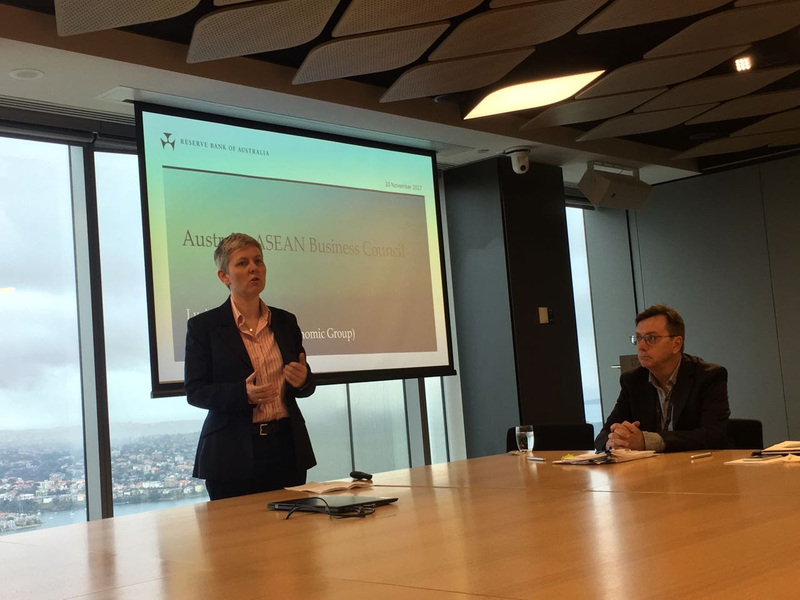 The aim of the delegation was to encourage Australian businesses and policymakers to strengthen, broaden and deepen regional business and investment ties between Australia and ASEAN. The delegation was led by Tan Sri Dr. Munir Majid, President of ABC, supported by Eleanor Mak, President of AABC. Highlights of day one included a Policy and Government Leaders Dialogue hosted by Mr. Scott Gardiner, Partner, King&Wood Mallesons with Dr Luci Ellis, Assistant Governor (Economic), Reserve Bank of Australia and other senior executives from the Department of Foreign Affairs and Trade, Australian Trade and Investment Commission, Department of Treasury and Department of Industry, Innovation and Science. The delegation made a courtesy call with The Hon. 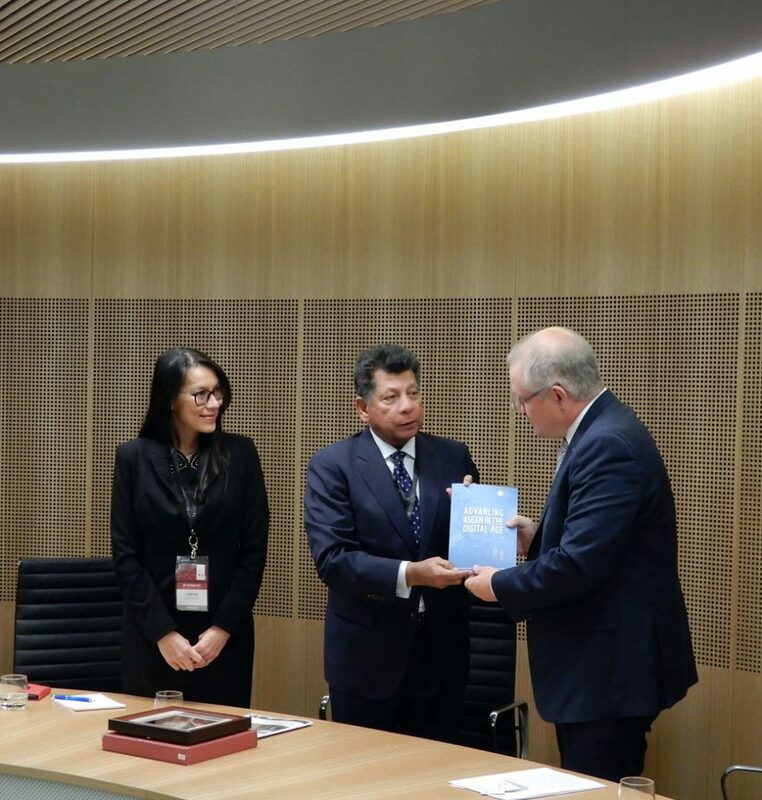 Scott Morrison MP, Australian Treasurer where Tan Sri Dr. Munir Majid presented the Treasurer with a copy of CARI’s special ASEAN@50 Commemorative publication titled “Advancing ASEAN in the Digital Age”. 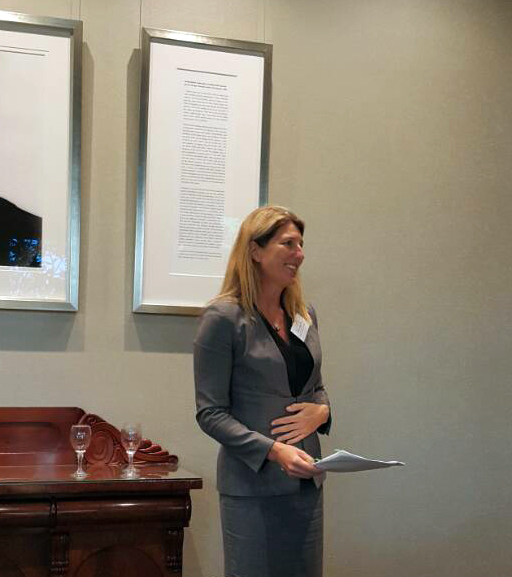 The Treasurer recognised the wide representation of business leaders from different ASEAN countries in the delegation and reaffirmed the importance of ASEAN and Australian economic engagement. 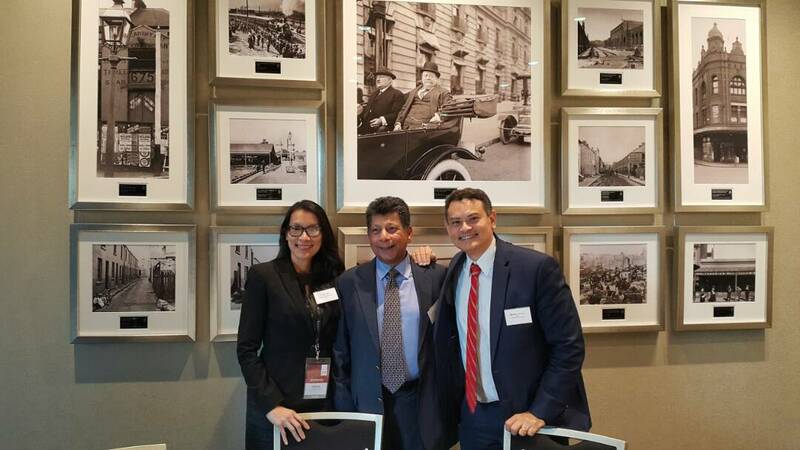 Delegates had the opportunity to briefly visit the iconic Sydney Harbour Bridge and Sydney Opera House before attending a welcome dinner reception hosted by PwC for the delegation. 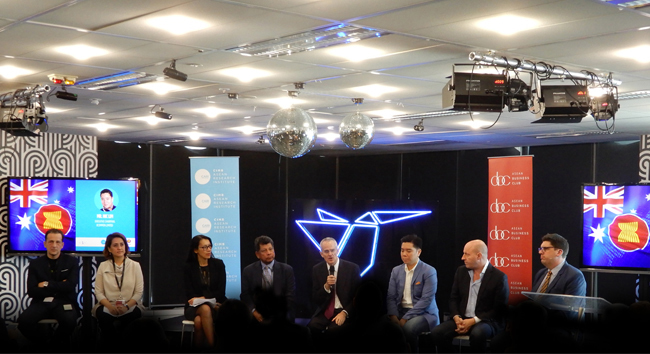 “ASEAN now represents around 15 percent of Australia’s total trade and is the country’s third largest trading partner, after China and the European Union however, Australian foreign direct investment to ASEAN is heavily skewed towards Singapore with approximately US$3.2 billion invested in the city-state in 2016. 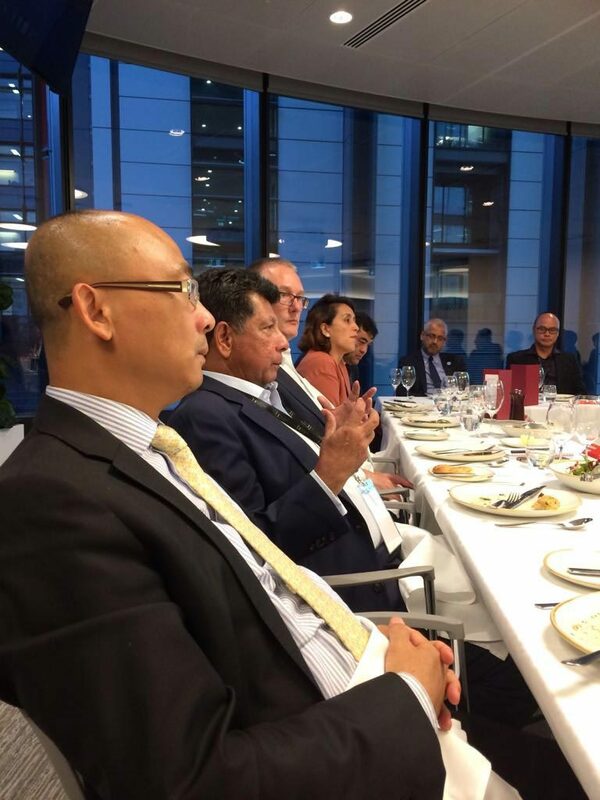 We need to broaden the economic relationship between ASEAN and Australia to ensure that it is not limited to certain countries and sectors only,” commented Tan Sri Munir about ABC’s visit to Australia. Highlights of day two included a visit to Haymarket HQ where delegates were given a presentation on the need for Australian entrepreneurs and start-ups to engage with Asia as well as an interesting demonstration of some innovative products created by start-ups which was of deep interest to delegates. This was followed by a Business Leaders Exchange hosted by George Wang (Chairman) and Tony Sacre (CEO) at the Sydney Stock Exchange with senior leaders from the Australian Chamber of Commerce and Industry, Business Council of Australia, Australian Industry Group, Export Council of Australia and the Australia-Malaysia Business Council NSW Chapter to discuss business and investment opportunities between ASEAN and Australia. Delegates then attended the first instalment of ABC’s ASEAN Roundtable Series held outside of ASEAN, co-organised by ABC and AABC titled, “Pivoting towards a new approach for Australia-ASEAN business engagement and growth in the digital age”, which featured speakers including Rod Sims, Chairman of the Australian Competition and Consumer Commission; Matt Barrie, CEO of Freelancer.com and CEO of Escrow; Aireen Omar, Chief Executive Officer of AirAsia Berhad; Marcus Luer, Founder and Group Chief Executive of Total Sports Asia; and Nic Lim, Executive Chairman of 8common Limited. The visit ended with a networking and official farewell dinner for delegates hosted by the New South Wales Government at the historic NSW Parliament House (Australia’s oldest Parliament) with a special presentation by Susan Calvert, Executive Director Department of Industry on investment opportunities and competitive strengths of NSW and its focus on ASEAN.